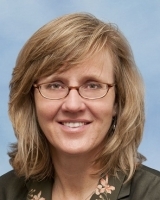 Cindy Leavitt is the CIO and VP of Information Technology at Temple University. At Temple, she’s responsible for planning and implementing technology initiatives and overseeing key IT units, including the help desk, university-wide end-user support services, academic computing, and more. Her thirty years of experience span all aspects of IT, including strategic planning, project management, system design, operations, and application development. Cindy is passionate about creating empowered and innovative teams, and she is committed to being an authentic and positive leader who practices what she preaches and leads by example. Cindy received her MBA from the Ross School of Business at the University of Michigan.